Totally Awesome! 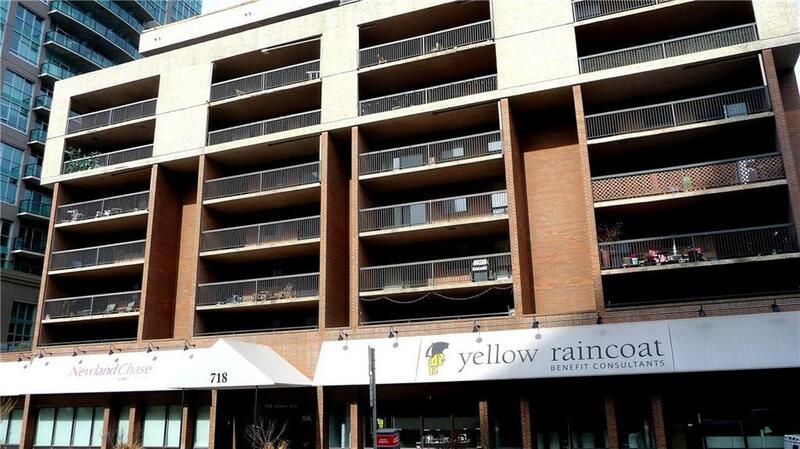 Modernized unit with updated flooring & paint. 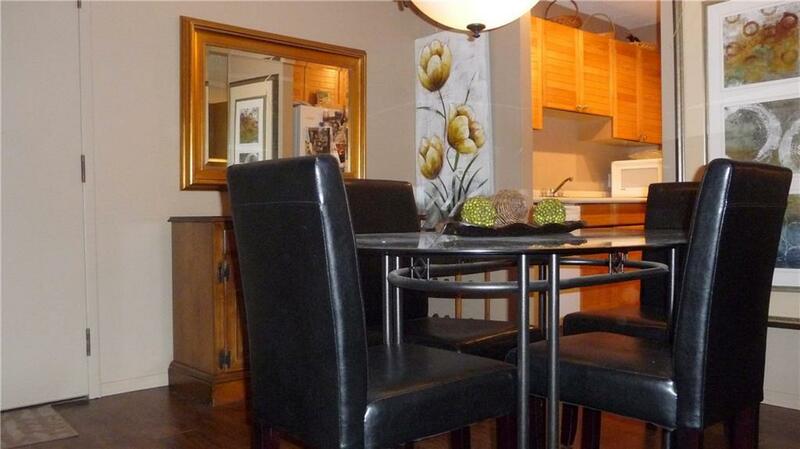 Two Bedroom unit was reno'd to accommodate a Den (you will be impressed!). Large Living Room with sliding door to huge "sunny" Balcony, Kitchen features lots of counters & storage cabinets - adjoining Dining Area. Spacious Bedroom with large wardrobe closet. In the suite storage and Laundry. This is a secure Building, professionally Managed. 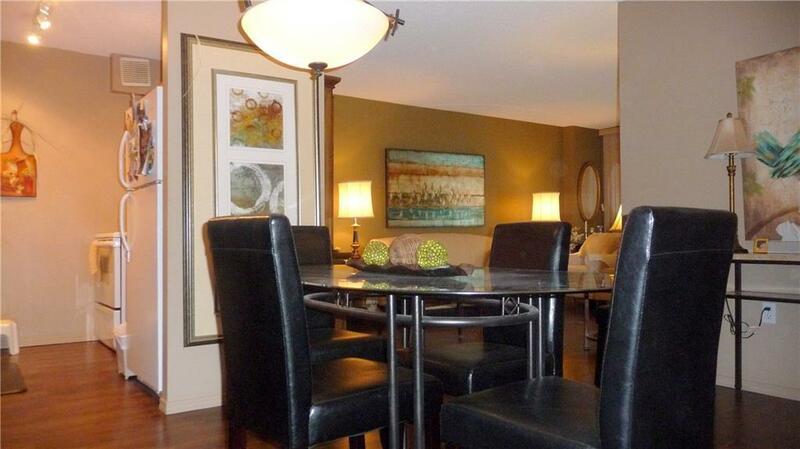 Many amenities, underground Parking, Exercise Room with Sauna, Bike Storage, Two Elevators and so much more! 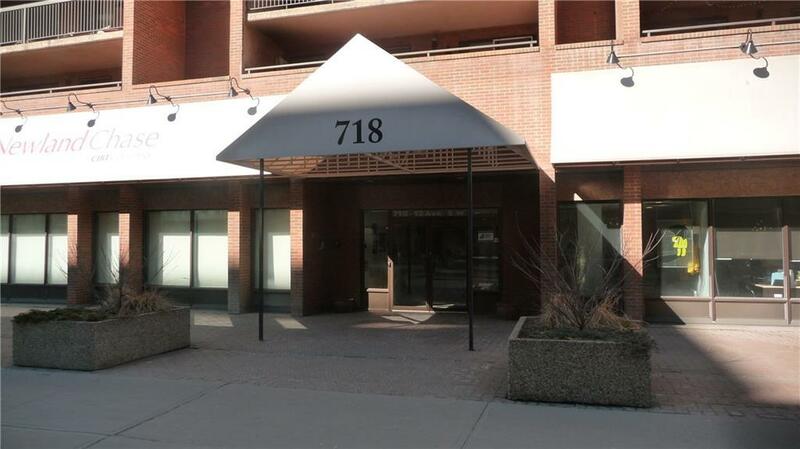 Excellent location - park your car and enjoy an inner city lifestyle! Pride of Ownership!